In the past month, Hopkins students have been consistently asked to give input on their workload, especially with regards to the revised homework policy. Two thirty-five minute advisor group periods were devoted to discussing the homework load, and many teachers have sent out paper surveys or Google Forms on which students share the amount of homework they have, how much they are able to complete, and how well they comprehend the material. The Razor is grateful that students have had this chance to reflect because the staff believes that reflection is beneficial for students. It is easy to become caught up in the routine of everyday life: class, sports practice or theater rehearsal, homework, sleep, repeat. We lack the time to ponder why we do what we do. By encouraging students to stop and reflect, in a manner more built into the daily schedule than the Measured Mile, we build a stronger community. Secondly, The Razor is grateful for the opportunity for students to directly share their thoughts and ideas about everyday school life with the faculty and administration. Administrators have been speaking with students, faculty and staff, parents, and alumni/ae to understand all facets of the Hopkins experience and determine the future path for the school. Dr. Bynum indicated in a previous Razor interview that he is considering setting up more informal opportunities, like a student wellness committee, to further hear from the student body’s voice. 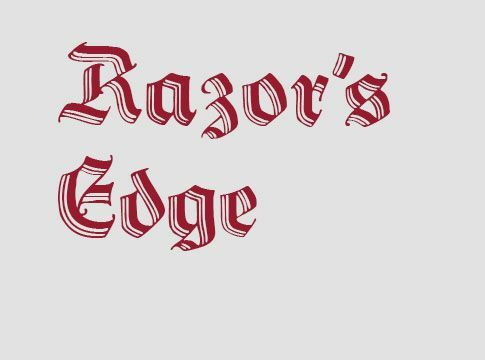 The Razor is grateful for the chance to bring as many voices to the table as possible, being likewise dedicated to sharing the perspectives, ideas, and opinions of current students. With our Voices section, featuring pieces on the thoughts of non-staff writers, and our coverage of the events and people who constitute the everyday life of a Hopkins student, we seek to elevate the student voices that may otherwise not have been heard. The new Real Talk initiative, asking students and faculty to express their identity and ideas to the wider community, is another example of how students, motivated to share ideas with each other, have created a platform to do so. Let’s continue the conversation. Let us work cooperatively and collaboratively with all members of the Hopkins community to continue to better this beautiful place where we live and work and love.